«From the Asian perspective, tourists want new challenges, they want to explore areas that have not been explored before. Like with space tourism,» Merchant said in an address delivered at the conference. But Merchant is absolutely serious. And he has the backing of one of the biggest marine engineering, property and investments companies in the world. The Singapore-based Keppel Corporation has more than 30 thousand employees working in a number of powerful subsidiary companies. Among them is the Keppel Offshore and Marine, the yard and ship design company that is world renown for its building of oil and gas rigs and platforms. It is not clear exactly where would be the desired location of the Arctic facilities, and the company representative declined to provide additional information when approached by the Barents Observer. The building of artificial islands is nothing new in itself. And designers and developers from all over the world work with concepts for floating cities as a possible solution to the expected effects of climate change and land scarcity. 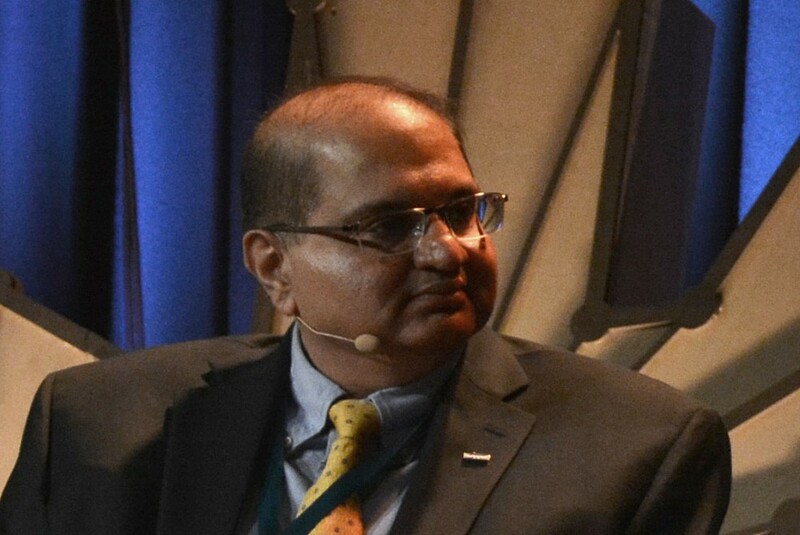 Aziz Merchant is a key person in Keppel working on such concepts for the Arctic. He is himself an Adjunct Professor at the National University of Singapore and has written a number of scientific works, some of which are published in the Technology Review, a publication issued by Keppel itself. 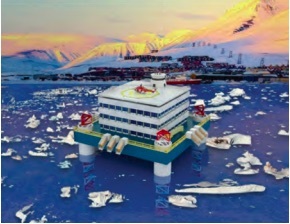 The 2017 edition of the Review outlines several of his Arctic projects. Singapore has over the past decade significantly enhanced its interests in the Arctic. In 2013, it obtained observer status in the Arctic Council. According to Aziz Merchant, new Arctic technology and innovation can serve as his country’s contribution to the council’s work. Keppel is today actively engaged in the development of new Arctic vessels and installations, including search and rescue facilities for Arctic areas. Among the projected installations are multipurpose Arctic search and rescue hubs located among the Arctic coast and able to provide helicopter assistance when need for rescue and evacuation of personnel.